For new system installation on Long Island, our professionals at All Seasons Air Conditioning is the company to call. We understand that winter can be stressful at times, and having a properly installed heating system is crucial to go through the season comfortably. Good thing, our experts are well-trained in providing home and business places their rightful pair of heating units. Whether it’s your first install or you want to upgrade to a better and more efficient system, you can always count on our professionals. We pride ourselves in saving our customers money, time and stress something we’ve been doing since our business began in 1968. We send one of our dependable technicians to give you a thorough evaluation of your property’s unique needs, and from there, we’ll help you find the perfect heating unit that will guarantee comfort and savings throughout its lifespan. When you schedule a heating system installation at All Seasons Air Conditioning, rest assured that only our licensed and professional hands will handle the service- from the basic evaluation to major installation tasks. Our technicians are fully equipped and trained regularly in the latest heating installation techniques; you can never go wrong in putting your trust in us. Heating system breakdown can happen at any time of the day, but don’t fret. If you are on Long Island and need an immediate heating repair service, All Seasons Air Conditioning is just around the corner. We are a licensed heating contractor specializing in the repair of heating equipment and systems throughout the Long Island and nearby areas. All Seasons Air Conditioning has been a go-to company of many residential and commercial owners and managers when it comes to prompt and reliable heating repair. Packed with tools, cutting-edge training, and experiences, we guarantee complete and responsible repair of your heating systems. If you need emergency service, we are available to assist you 24 hours a day, seven days a week. To help reduce heating repair emergencies, we offer service agreements to keep your home heating system running at peak performance. Count On All Seasons Air Conditioning For Your Heating Repair Needs. We have a team of licensed and professional technicians at All Seasons Air Conditioning, and since 1968, we are providing the Long Island area with high-quality repair services worthy of their investment. We work to deliver heating repairs that are done right the first time, so you and your family stay safe and comfortable. Don’t be the last to join our long list of satisfied customers. 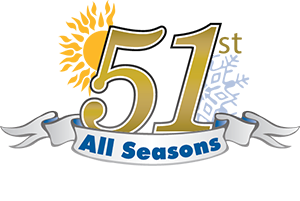 All Seasons Air Conditioning is your one-stop shop for all heating services on Long Island and nearby communities. From system installation to major repairs and maintenance duties, you can count on our experts for reliable results. Our heating system proficiency, skilled technicians and excellent customer service lead us to repeat customers since 1968, something which we are always proud of. When the temperature becomes unbearably cold, you don’t have to worry that your unit will break and leave you freezing. All Seasons Air Conditioning is always prepared for your call. Whatever your heating system needs are, rest assured that there’s a All Seasons Air Conditioning tech that’s available to help you. We expertly install, repair or maintain the heating equipment you need to stay comfortable. When you need heating services for your Long Island home, count on All Seasons Air Conditioning – the comfort control people! We’ll help you with all of your heating needs. Just give us a call at (631) 694-1616, and we’ll be happy to help you. Heating maintenance is your heating unit’s regular dose of care and attention. There are simple cleaning and fixing tasks that you can do yourself, but for complete system maintenance, you have to leave the job to the professionals. With that, our experts at All Seasons Air Conditioning can help. We provide trustworthy heating maintenance services on Long Island and nearby towns. Save yourself the discomfort and expense that occurs when your heating system fails. At All Seasons Air Conditioning, we work hard to preserve the efficiency of your heating systems and make your home safe and comfortable for you and your family to stay. We offer heating maintenance agreements that will guarantee your unit’s maximum performance in the long cold months. All Seasons Air Conditioning offers heating maintenance agreements to Long Island residents. Choose a heating maintenance agreement with us and enjoy an all-inclusive tune-up to ensure that your unit is running at all-out efficiency and providing the best, safest level of comfort to you and your family. When you need a heating maintenance agreement for your Long Island home, count on All Seasons Air Conditioning – the comfort control people! We’ll help you with all of your heating needs. Just give us a call at (631) 694-1616, and we’ll be happy to help you.